50% of the world’s population – we refer to them as Millennials – is under the age of 30, and the values of this generation are set to become the norm. As tech savvy, connected and truly global generation, they feel collectively responsible, they care, and they embrace sustainability and value a conscious lifestyle. The term Millennials (or “Generation Y”) refers to those 19-34 of years of age and “Generation Z” refers to those under the age of 19. We refer to them simply as “Millennials” or “Conscious Consumers and Employees”. Millennials are the most sustainability conscious generation. Recent studies by Nielsen show that Millennials are willing to pay more for products and services seen as sustainable or coming from socially and environmentally companies and are transparent in this. As Millennials represent a rapidly growing consumer market, they influence companies’ success by their choice of products and services. Moreover, when considering employment, they will focus on those companies that have a purpose and that live up to environmental, social and governance (ESG) standards. 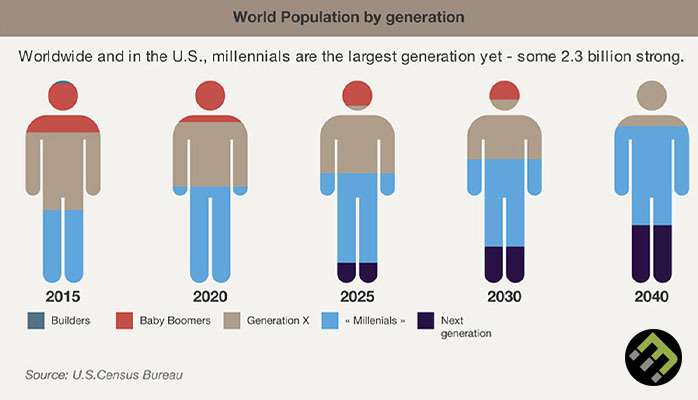 In the coming decades, baby boomers (> 50 years of age) will transfer trillions of assets to their Millennials heirs, and given Millennials tendency to social engagement, this will become a powerful engine of global economic, social and environmental uplift. Taking into account all those Millennials “requirements”, companies have to re-consider their product and marketing strategies in order to reach those conscious consumers and employees. EcoMatcher offers companies new innovative ways through SMART tree planting to make company’s purpose tangible and improve stakeholders’ engagement and business results at the same time. We have seen significant improvements with companies in a number of industries. Please contact us for a free consult here.